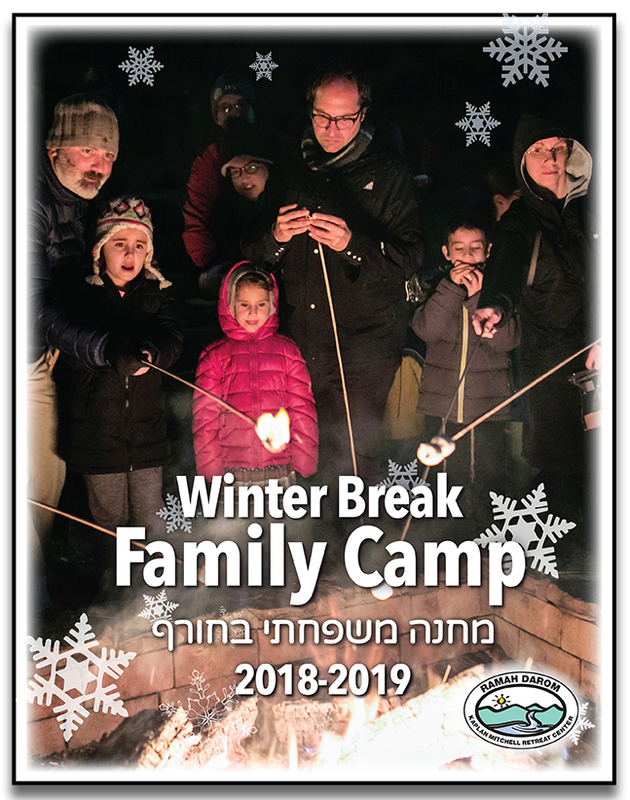 The perfect, stress-free, fun-filled, family vacation awaits you at Ramah Darom! Rest, play, learn, and schmooze with new and old friends, while we take care of the cooking, cleaning, and entertainment. 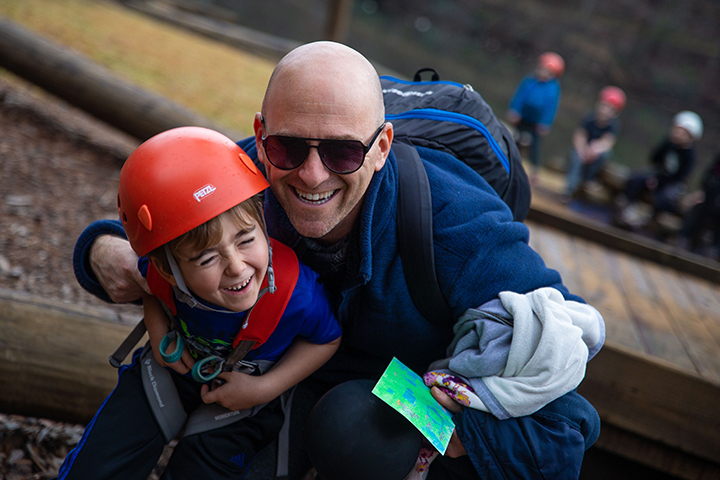 Give yourself a break and let our counselors take your children on adventures around camp and enjoy family-fun activities together. Ring in the New Year with a rockin’ kids party as well as an adult only celebration. Experience the magic of Ramah Darom. This all-inclusive event is designed for families with children of all ages. Prices are based on accommodations. 2 families share one cabin space. 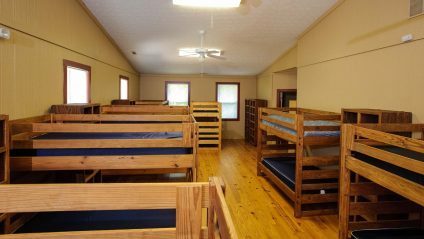 The shared cabin includes 2 small private rooms (for parents to sleep), an open bunk area for children of both families to share, and 1 shared bathroom (including several stalls). These spacious cabins contain 1 small private sleeping area with 2 twin beds, an open bunk space with multiple bunk beds, and a private bathroom for your family. The cabin is separated from an adjoining cabin with pocket doors. 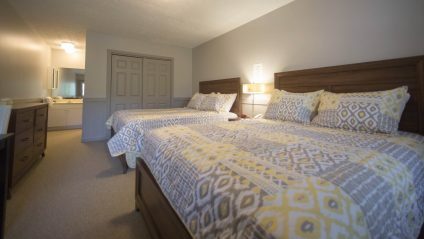 Hotel rooms feature 2 queen beds and a private bathroom. Rooms can only accommodate up to 5 guests. ($75 for a roll-a-way bed). 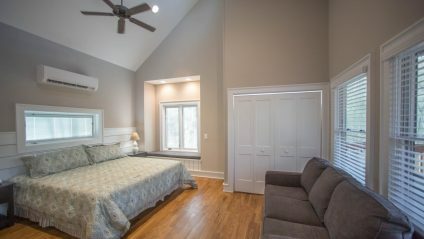 Addition rooms available for larger families at a discounted rate. Cancellation Policy: All cancellations are subject to a 3% processing fee. Cancellations made after November 15th will be refunded 50% of registration total. No refunds will be made after December 15th. For Payment Plan Information. Check back here to register and look through our photo gallery to get a taste of the magic.